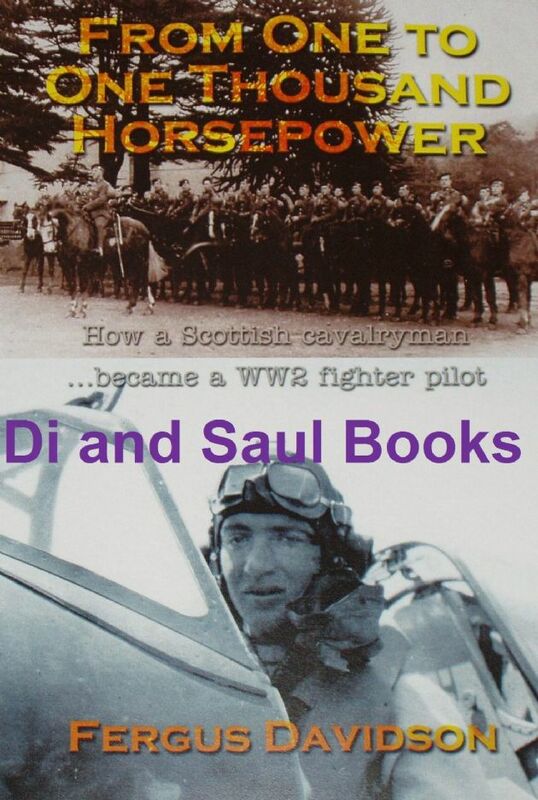 He enlisted at the outbreak of war in 1939 with a cavalry regiment, the Scottish Horse, in which he served until the opportunity presented itself for him to volunteer for transfer to the Royal Air Force. He flew numerous night missions from Tangmere before being transferred to 91 Squadron, based at RAF Hawkinge on the Kent coast, where he flew photoreconnaissance missions over the English Channel. He was soon on the move again, having volunteered for overseas service and in 1943 found himself on a ship bound for Algiers and thence to Malta, where he was to join 229 Squadron, equipped with Spitfires and charged with protecting the island from enemy attack. Here Fergus took part in many aerial escapades before his luck ran out and he was forced to bale out of his stricken aircraft over enemy territory. He was captured, interrogated and transferred to a prisoner of war camp in Germany - Stalag Luft 6 - where he was to spend all but the final months of the war, when he and his fellow POWs would be faced with a final marathon of endurance as they were force-marched hundreds of miles in atrocious winter conditions by their captors to prevent their being liberated by Allied forces.